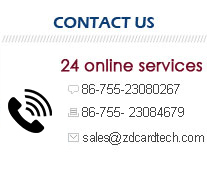 ZDCARD Tech Co. Ltd (ZDCARD Group) is based in Shenzhen, a special economic zone in China for international and multinational companies and manufacturers. Our total assets exceed 200 million RMB, and have purchased our own high-tech industrial park with an area of 30,000 square meters. ZDCARD is a fully certified in China for industrial production. We also have a commercial encrypted products production licenses, ISO Quality Management certificate, ISO Environmental Management certification, and also a certificate for high-tech enterprises in Shenzhen. Additionally our R&D has a center with close partnerships with Shenzhen University, Fudan University, Shanghai, Guandong Zhongshan University and Central South University. The production management is strict in compliance with the ISO9001 quality management system, ISO14000 environmental management system and based on the specific features of the products, forming ZDCARD’s own management model. ZDCARD is also characterized itself by its reasonable talents pool, integration of both the Chinese and western culture and confluence of wisdoms. The super-scale production, flexible quality services and added value to our clients are our core business philosophy. Cards Type and application include all kinds of ISO7801-compliant cards such as pre-paid cards, bank cards and other magnetic stripe cards; score cards, membership cards, gift cards and other bar code cards; scratch cards; smart cards such as healthcare, social security, public transportation and campus cards. These years we also developed production in RFID tags, wet and dry inlays, special appication tags for logistics managment and animals, RFID blocking technology and readers for HF, LF, and UHF applications. Our factory facilities include 2 world’s state-of-the-art Heidelberg 4-color offset printing presses, 2 automatic cutting and laminating machines, 5 automatic scratch card stamping and packaging equipment, 2 magnetic mounting and writing devices, 5 convex code printers, multiple DOD and laser coding printers, 2 RFID chip bonding machines, 3 RFID converting machines for RFID tags, etc . 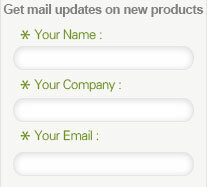 Our main customers include Wall-Mart, Carrefour, BESTBUY, McDonald and GOME in the retail sectors, Holiday inn hotel,Vienna hotel, Sands rewards club; Beijing Tongren Hospital, Southern Air Force General Hospital; Nigeria voter’s card, Moscow subway cards,Iran subway tickets; Asia cell,Yemen Mobile, China Mobile; Indonesia ID cards;South Africa Insurance cards. In the future we look forward to bigger success with customers all over the world.